If you have ever had to replace an alternator sooner than you thought was normal, you may have had a hand in causing it’s demise. 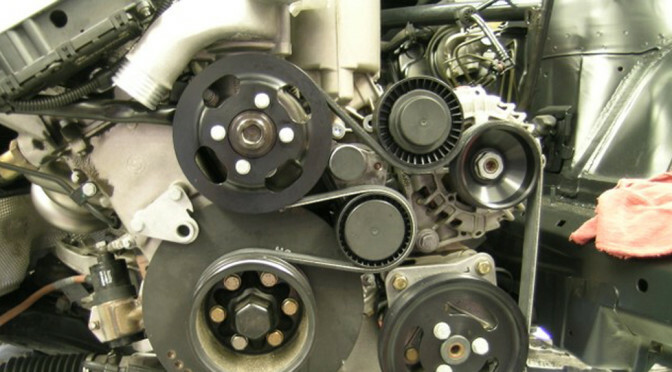 The most common reason for premature alternator failure is overheating. In an earlier tech article, I stressed the importance of adequate cooling of the alternator by keeping the alternator air ducting clear. However, there is another seemingly innocent way of causing an alternator overheat situation that can adversely affect both water and air cooled alternators alike. Any time when your car does not crank over and you get “a jump” you might be thinking “Well, the battery will re-charge while I’m driving”. You might be right but you are also risking an expensive future breakdown. The alternator may even provide enough surface charge to the battery to provide enough power to start the engine the next time it is needed. However, asking the alternator to run at peak output for an extended period of time will guarantee an overheated alternator and eventual failure. The alternator is intended to maintain the car’s electrical system, not act as a battery charger. As a final note, even when replacing the battery, make sure the new battery is fully charged so you don’t end up replacing the alternator next. Owners should be aware of a potentially serious brake system failure. The problem occurs when a main brake pressure hose section from the ABS/ASC/DSC hydraulic control unit ruptures and causes the brake system to loose hydraulic pressure. Due to age and thermal exposure to engine exhaust manifold heat this particular brake hose section slowly deteriorates. 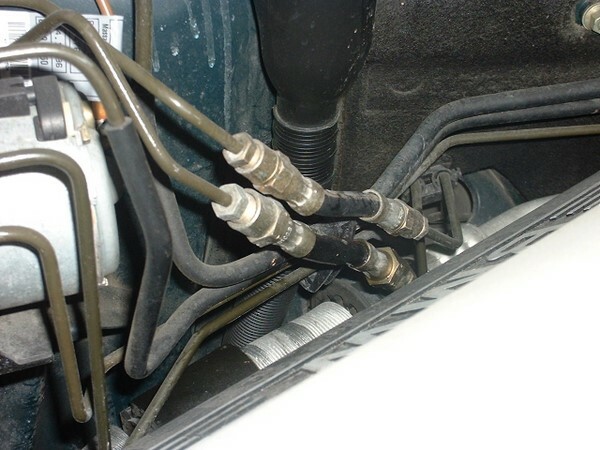 Under braking pressure, at the point when most needed, the hose failure occurs. We at Bavarian Machine Specialties have seen a number of these failures and have also identified many potential problems during our thorough routine maintenance program. The problem is most likely to occur on cars older than 7 years with more than 60,000 miles. A recommended inspection of these hoses is strongly advised and can be easily accomplished. The hoses are located along the passenger side fenderwell (see picture) and can be assessed without removal of any components. The parts and labor costs to replace these hoses is fairly inexpensive and well worth the assurance that the brakes will not fail. The brake hydraulic system must be re-bled after the hoses are replaced and in addition the cycling of the ABS hydraulic unit solenoids must be carried out. As an added level of protection, when the hoses are replaced, we at Bavarian Machine Specialties install an outer heat barrier sleeve to protect the new hoses and prevent the problem from occurring again. 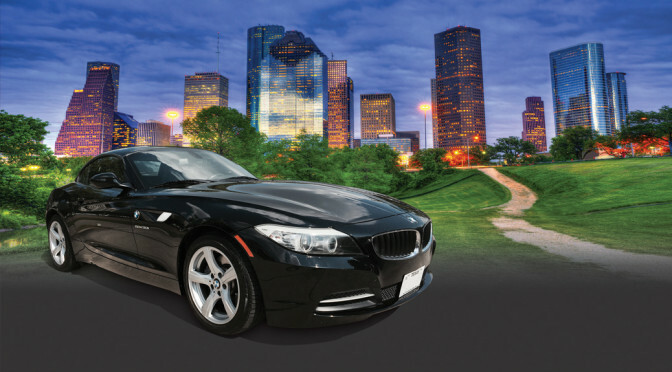 It’s inevitable your BMW will eventually require an alignment. It is advisable to check or adjust your BMW’s alignment every 2 -3 years because of wear in suspension or steering components. There are a wide variety of shops that offer this service but you should choose wisely. Recently, we have seen a disturbing oversight on a majority of cars as a direct result of alignments performed at shops with out the proper knowledge of one key component. 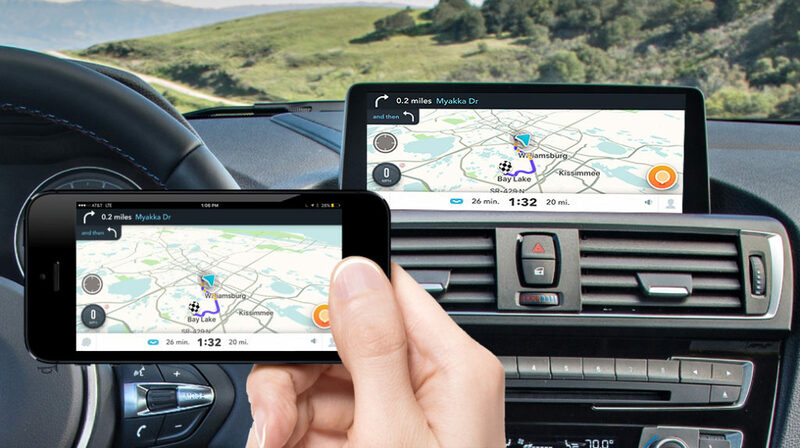 These alignments have been lacking one crucial step that leaves the car unable to react according to operating parameters designed to help you maintain control. As part of a complete alignment, the Steering Angle Sensor should be checked and a majority of the time recalibrated for proper operation. 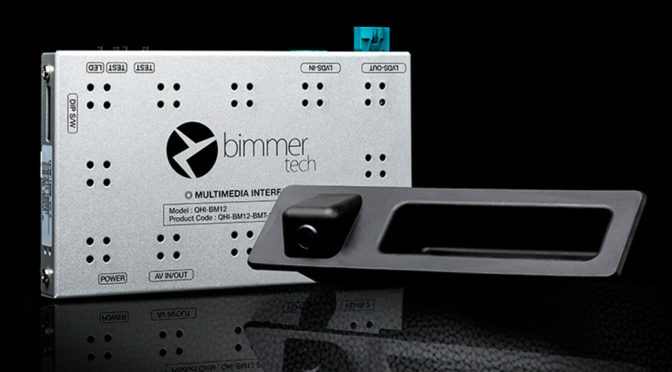 This sensor is an integral part of all late model BMW’s (99->) with DSC (Dynamic Stability Control) or DTC (Dynamic Traction Control). Without accurate calibration, your BMW will not react properly during panic braking, skidding, or any evasive maneuvering. Make sure anyone who attempts to align your BMW is aware of the Steering Angle Sensor and capable of performing the proper calibration (specialized equipment required). 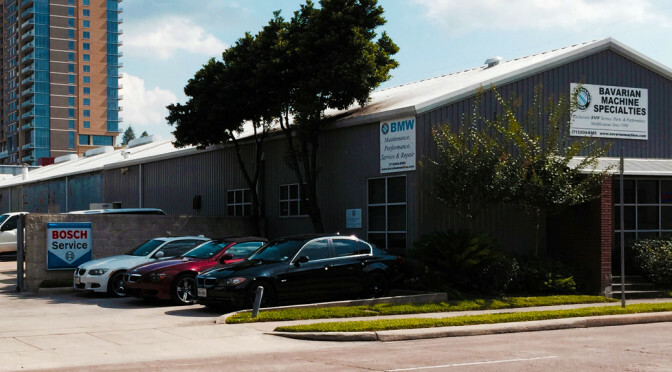 If you have had an alignment performed on your BMW in the past but are not sure if the Steering Angle Sensor was calibrated, there is an inexpensive test we can perform to verify that your safety is not in jeopardy. If you are interested in more information on alignment/steering issues, see the Tech Article section for the “Round and Round We Go” article. 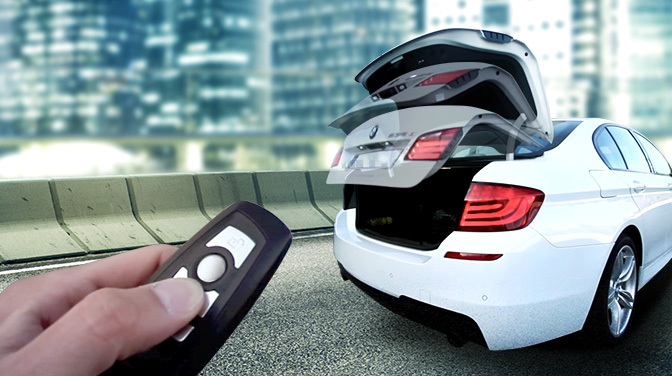 BMW’s are coded from the factory with standard settings for car and key memory. These memory functions control settings of basic options for locking, displays, windows, sunroof, lighting, wipers, seats, cruise control, AC & heating, and the alarm system to name a few. More likely than not, many of these memory functions can be changed to better suit your needs. As examples, maybe you would like the doors to automatically lock as you drive away; or, you would like the Rain/Light sensor to be more or less sensitive. Even though it’s cold outside, your engine can still overheat. Engine cooling systems are sometimes more susceptible to sudden failure during winter months. Colder ambient temperatures and sudden temperature changes adversely affect seals, hose connections and plastic parts. Equally susceptible are thermostats that can stick and cause intermittent overheat situations (see past tech tips for additional thermostat information). If you notice a small leak under your car or a low coolant level indicator, do not hesitate to have it checked out. Failure to rectify a seemingly insignificant coolant loss can lead to costly repair. Never drive your BMW in an overheated condition. Driving with the temperature gauge in the red for even two minutes will compromise your engine head gasket. Driving a further distance will severely damage the engine. For more info about cooling systems, read Mike’s article on plastic embrittlement.